If you are looking to buy into the sports bar business, Dave & Buster's is worth checking out. With over 120 locations across North America, it’s one of the fastest growing chains in the niche, and with good reason. 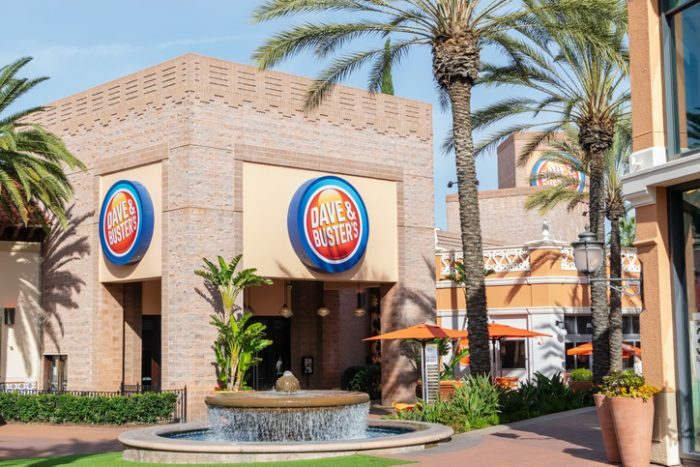 Each Dave & Buster's location brings together a combo of a restaurant, an entertainment hub (video arcade or amusement park), and a sports bar, all under one roof. True to its slogan, Dave & Buster's is the best place to eat, drink, play and watch your favorite sports. Is Dave & Buster's a Franchise? While Dave & Buster's locations offer the ultimate restaurant and entertainment experience for the customer, there’s not much out there about their franchising opportunities. Which begs the question: is Dave & Buster's a franchise? The answer to this frequently asked question is, YES – Dave & Buster's is indeed a franchise. In fact, more than 72% of its business structure comprises franchises. Unfortunately, the sports bar chain doesn’t franchise within the United States. If you are looking to open a Dave and Buster’s franchise in Canada or elsewhere across the globe, you are in luck. How Can I Open a Dave and Buster’s Franchise? Dave and Buster’s business model has proven to be quite lucrative. With entertainment, dining, and watching sports on the menu, the restaurant chain is able to cater to every personality and lifestyle. When you open a Dave and Buster’s location, you can rest assured that you’ll get customers right from day 1. The Dave and Buster’s corporate headquarters in Dallas owns, operates and generally oversees all the activities in each and every location in the US. However, if you are outside of the US, you can open a Dave and Buster’s franchise if you meet the set requirements. Food and drinks are at the epicenter of Dave and Buster’s business. Most items on their menu include gourmets foods served from early lunch until late at night. These foods include steaks, pasta, desserts, chicken dishes, burgers, and seafood, just to mention a few. What’s more, Dave and Buster’s menu is constantly refreshed to cater to hot trends in the food, drinks, and entertainment world. They also have a full-service bar that boasts an assortment of alcoholic, cocktails, and non-alcoholic beverages. What’s more interesting is that some Dave and Buster’s franchises offer buffets, Sunday brunch, and other party menus on special occasions. Each Dave and Buster’s location has a video arcade that comes with a wide array of interactive video games, arcade-style slots, and simulator games. Dubbed the “Million Dollar Midway,” the games arcade is the ultimate weekend or evening “hang-out” spot. Customers can buy tokens or reload a reducing-balance “debit card” called the Power Card. Who is D&B’s Franchise Typical Customer? D&B attracts a diversity of customers and offers a wide demographic appeal. It’s the perfect entertainment and dining spot for the outgoing customer. D&B has also become the go-to restaurant for those looking to spend fun and quality time with their families, friends, and colleagues. What do I need to start a Dave and Buster’s Franchise? As of October 2014, Dave and Buster’s has been a publicly traded company. As such, the company has a well-structured franchising package for those interested in opening locations outside of the United States. The average unit volume of a Dave and Buster’s location staggers at around $11.8 million. Dave and Buster’s has two prototypes for franchise locations: a small and large prototype. If you are looking to open a “small” location, you will need a floor plan of at least 26,500 sq.ft. For the “larger prototype,” your location should have more than 40,000 sq.ft. of floor space. Dave and Buster’s requires that the daytime population of the location should be more than 100,000. Also, the daytime population of the residential area within 10 miles of the location should exceed 700,000.